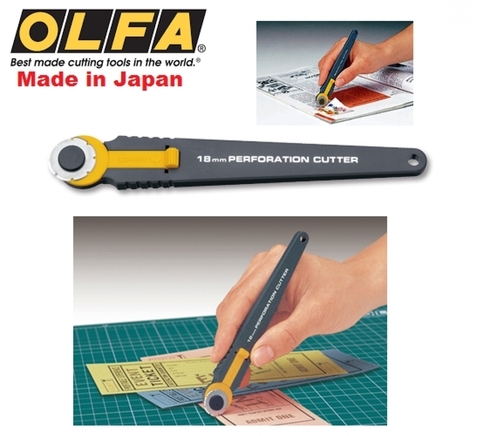 Perforation cutter with an 18mm stainless steel blade for making perforated lines. 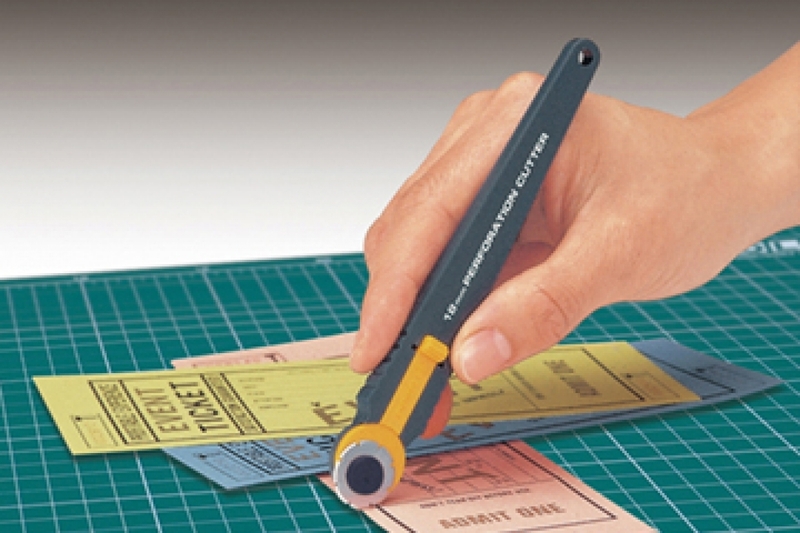 Suggested Uses : For ticket-making and scrapbook design. 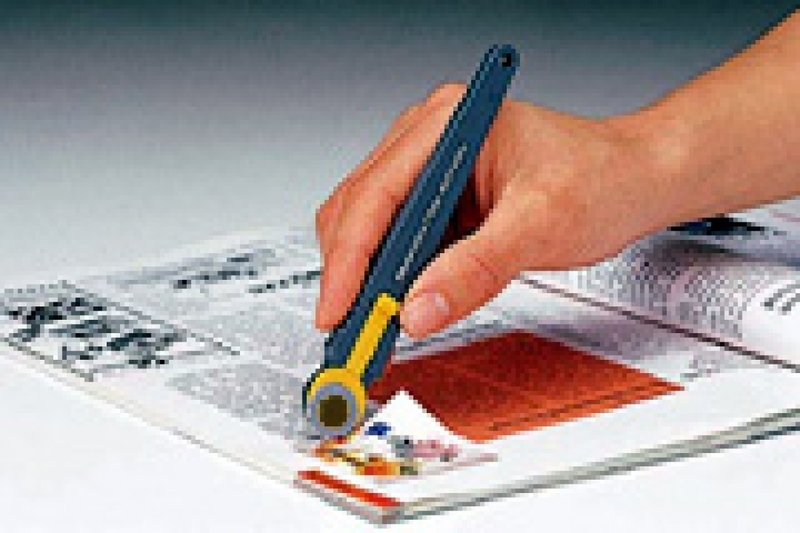 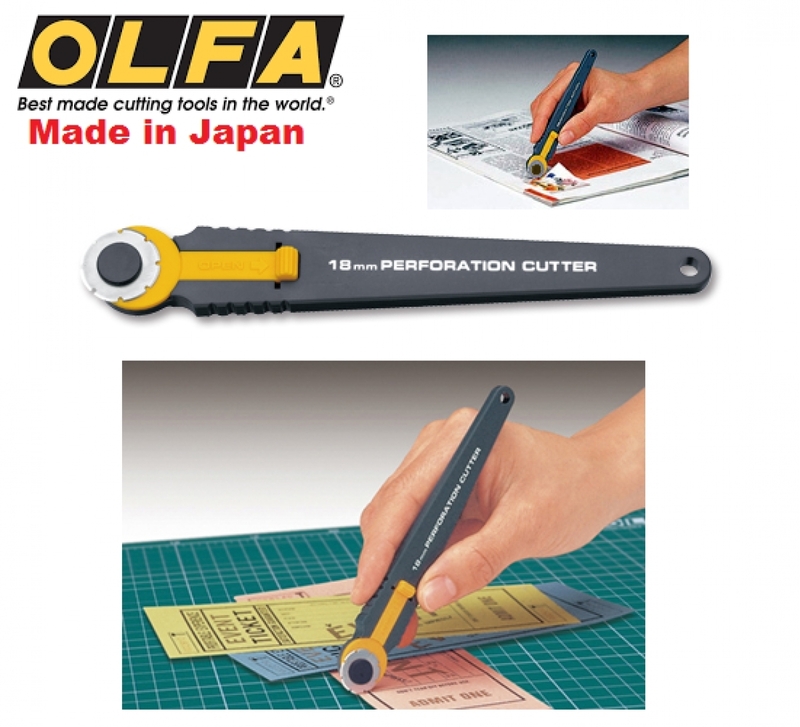 The cutter can be also used as top sheet cutter.